The Carnival of the Animals (Le carnaval des animaux) is a humorous, often parodistic musical suite of fourteen movements. The suite was written for private performance by an ad hoc ensemble of two pianos and other instruments, and lasts around 25 minutes. 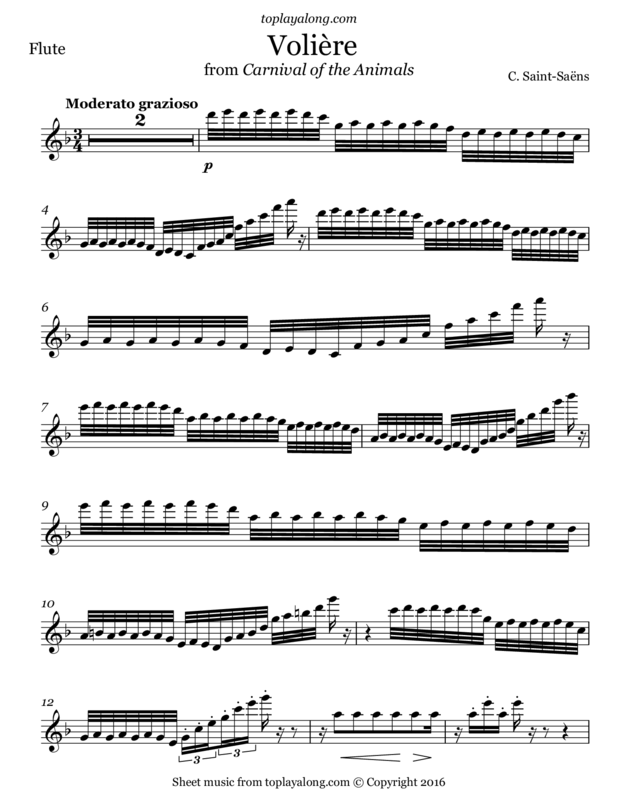 In the tenth movement, called Volière (english: Aviary), the flute takes the part a bird, with a trilling tune that spans much of its range. French composer, organist, conductor and pianist of the Romantic era. Saint-Saëns was a musical prodigy, making his concert debut at the age of ten.